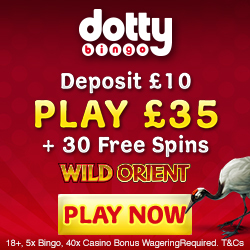 Sit back and relax as Mobile Bingo Bonuses are about to take you on journey back to the times of King Arthur, with Avalon Slots everything is about to get medieval, just without the risk of Dysentery, Plague or smallpox, the only symptom you will notice is hysteria as you spin to a win. The medieval theme of this game is there for all to see, with iconic regal symbols from the middle ages such as Royal Crests, Crowns, Chalices and Chests of gold coins. 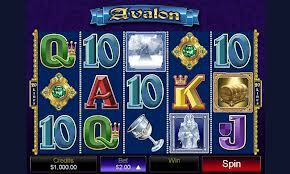 Avalon Slots has fast become a popular 5 reel 20 lines game amongst casino players and once you’ve taken those reels for a spin you’ll soon see why, it’s not just the medieval theme either. 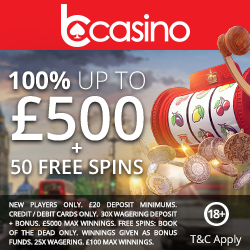 Avalon Slots features everything you would expect from Microgaming, including wild symbols, scatter symbols, Spins Bonus Games as well as Bonus Games which are available during complimentary spin rounds and the gamble bonus game, all designed to increase your chances of winning. 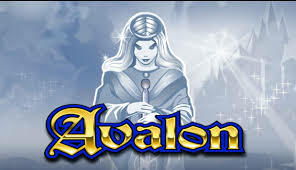 The Avalon logo acts as the wild symbol and can replace every symbol on the reels with the exception of the scatter symbol, the treasure chest is the wild symbol used in the bonus spins. Now it wouldn’t be a true King Arthur style medieval theme without the Lady of the Lake, which also happens to be scatter symbol, just 2 scatter symbols will improve your win but manage to get 3 scatter symbols and you’ll get 12 spins, you can also unlock multipliers within the spins bonus round when you see the treasure chest symbol. An added feature Avalon Slots that you wouldn’t expect is the Gamble Feature, this feature pops up whenever you spin a win line, it’s also a really easy way to double your winnings, all you have to do is guess the colour of the next card from the deck on the screen, but should you manage to correctly guess the suit of the card then your winnings will be quadrupled. With a classic video slot format Avalon takes it back to what you enjoy most, spinning and winning.